Soar to new heights at Marriott Marquis Houston.The sleek new centerpiece of the Houston skyline, this hotel is the premium choice in downtown. Capturing the bold, fearless spirit of Texas, this new hotel boasts 1,000 guest rooms. Enjoy quick access to George R. Brown Convention Center via a skybridge, and a location convenient to popular attractions in the nearby theater and entertainment districts. Float around the unique Texas-shaped lazy river, then make a splash in the heated infinity pool — all on the rooftop overlooking Discovery Green Park. The hotel also features a full-service spa and fitness center, high-energy two-story sports bar, two specialty restaurants, wine bar, café, and pool bar and grill. This urban oasis features lavish guest rooms and suites with luxurious bedding, spacious work desks and stunning views. Feel welcome from the moment you enter the large, attractive lobby of Homewood Suites by Hilton Houston Downtown. Each morning of your stay, wake up to a complimentary full hot breakfast buffet, and at the end of a busy day, meet friends and colleagues, Monday – Thursday, at the complimentary evening social*. The handy 24-hour Suite Shop stocks a variety of snacks, drinks, chilled meals and toiletries to keep you going during your stay. It’s easy to maintain your exercise routine at this all-suite hotel in downtown Houston, TX with a complimentary fitness center and a roofscape swimming pool, offering fantastic views of Discovery Green Park. Settle into a comfortable and stylish studio or one-bedroom suite. Cook your favorite meals in the fully-equipped kitchen, which comes complete with a full size refrigerator, dishwasher, microwave, two burner cook top and all the utensils, cutlery and flatware you’ll need. Log in to your social networking site with complimentary WiFi at the spacious work desk, or relax and watch a movie on the LCD HDTV. There are laundry facilities onsite, so you don’t have to worry about running out of clean clothes during your stay. Stay productive with useful services like faxing and printing in the complimentary 24-hour business center. Make yourself at home in one of the 200 air-conditioned rooms featuring refrigerators and flat-screen televisions. Your pillowtop bed comes with premium bedding. Wireless Internet access (surcharge) is available to keep you connected. Private bathrooms with shower/tub combinations feature complimentary toiletries and hair dryers.Take advantage of recreation opportunities such as a 24-hour fitness center, or other amenities including complimentary wireless Internet access and concierge services. This hotel also features gift shops/newsstands, wedding services, and a television in a common area. Grab a bite at Vic and Anthonys, one of the hotel's 2 restaurants, or stay in and take advantage of the 24-hour room service. Snacks are also available at the coffee shop/café. Quench your thirst with your favorite drink at the bar/lounge. Breakfast is available for a fee. Enter the 21-story hotel and take in her minimalist approach to décor and design that plays with height, volume and natural light. Alessandra’s striking architecture and intriguing shapes reinforce a classical symmetry, resulting in an ideal placement of both indoor and outdoor spaces. Stylishly streamlined, the sophisticated guestrooms and suites showcase a perfect complement of comforts. In a convenient location, this upscale Hampton Inn Houston Downtown hotel makes it easy to explore Houston and various area attractions. Take a short walk and you’ll arrive at Discovery Green urban park, Minute Maid Park and the George R. Brown Convention Center. Hop on the free shuttle to the downtown area or catch the metro rail at the station adjacent to the hotel. After a restful night in the clean and fresh Hampton bed®, sit down to free, hot breakfast served seven days a week. Or if you’re in a rush, get Hampton’s On the Run™ Breakfast Bags, available Monday through Friday. Spend some time at the fourth floor roofscape pool with views of the 12-acre Discover Green urban park. Get in a workout at the fitness center and complete work projects in the 24-hours business center. Each room features a large workstation, free WiFi and a lap desk so you can work from anywhere in the room. Friendly service, clean rooms, comfortable surroundings, every time. Guests enjoy unforgettable skyline views and proximity to the convention center, corporate offices, and performance and sports venues. Affording stimulating perspectives of downtown, this hotel’s 21 floors house 255 exquisitely appointed guest rooms. Hardwood-floor entryways lead into each space that provides thoughtful amenities and the comforts of home. Stay connected with wireless High Speed Internet Access and a large flat screen TV with premium channels. Read a complimentary newspaper over a fresh cup of coffee or tea, or something from the mini-refrigerator. Choose one king-size or two queen LM BEDs that are dressed in luxurious linens. As the fourth largest city in America, Houston hums with energy and resonates with independent spirit, history and culture. 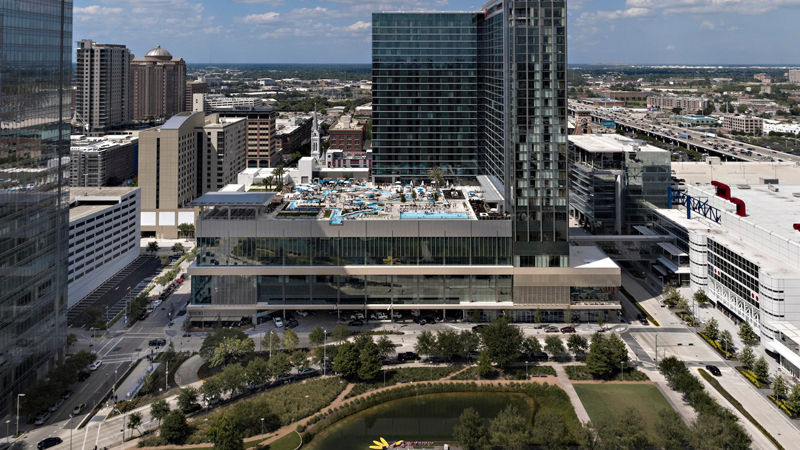 In the midst of this urban buzz, the new JW Marriott Houston Downtown makes its spectacular debut. Set in Houston's first skyscraper, originally built in 1910, this stylish hotel eloquently carries the rich legacy of Houston into modern day. Enter the lobby and you'll be welcomed into the arms of quiet sophistication and the JW Marriott promise of intuitive service and exceptional experiences. Beyond, find everything needed to enhance each experience you collect, from lavish guest rooms and tantalizing dining options, to an expert staff offering personalized care and local knowledge. JW Marriott Houston Downtown also offers direct access to the tunnel system and is ideally located on both rail lines, ensuring plenty of opportunity to explore nearby attractions such as Toyota Center, Reliant Stadium and George R. Brown Convention Center. Welcome to the Residence Inn. If you are searching for affordable comfort and quality, then look no further. 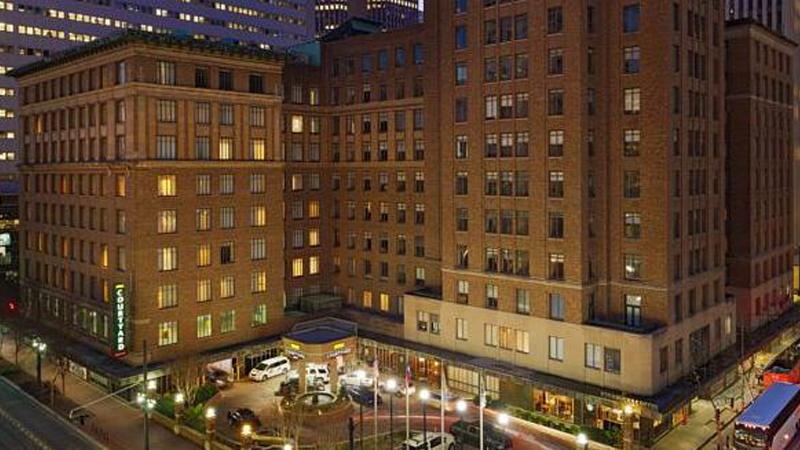 Housed within the Historic Humble Oil Building in the center of downtown Houston, the Residence Inn by Marriott Houston - Downtown offers spacious Suites all with the convenience of a fully equipped kitchen, separate living area with sleeper sofa and Daily Housekeeping Service. 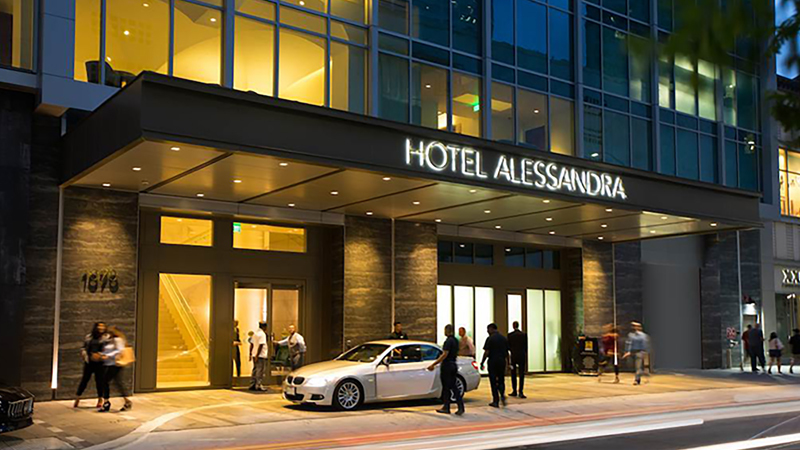 Whether you're traveling to Houston on business, pleasure or relocating, the entire staff is committed to creating a wonderful and memorable experience during your stay. You will truly be among friends at the Residence Inn Houston Downtown. Come experience world- class accommodations from a name you can trust. The hotel houses a number of restaurants, including the Humble Cafe, the Courtyard Bar and a Dinner Delivery Service. Other amenities include high speed internet access, complimentary buffet breakfast, pool and a fitness center. 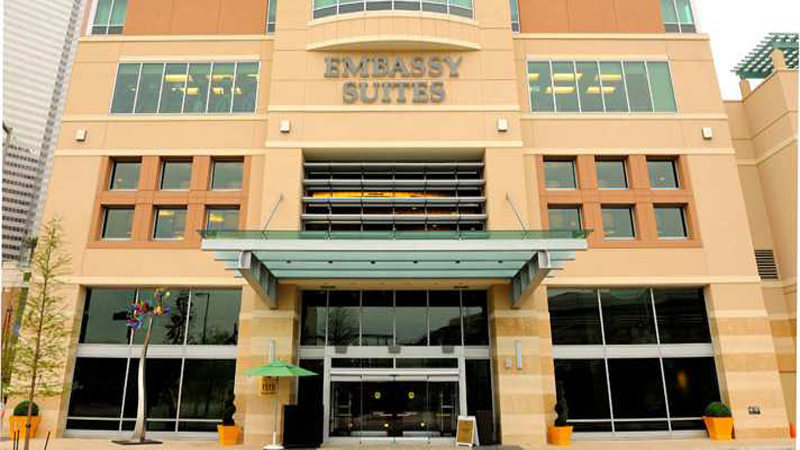 The Embassy Suites Houston-Downtown is an all-suite urban high-rise hotel, overlooking Discovery Green Park and is adjacent to the Houston Rockets' Toyota Center. 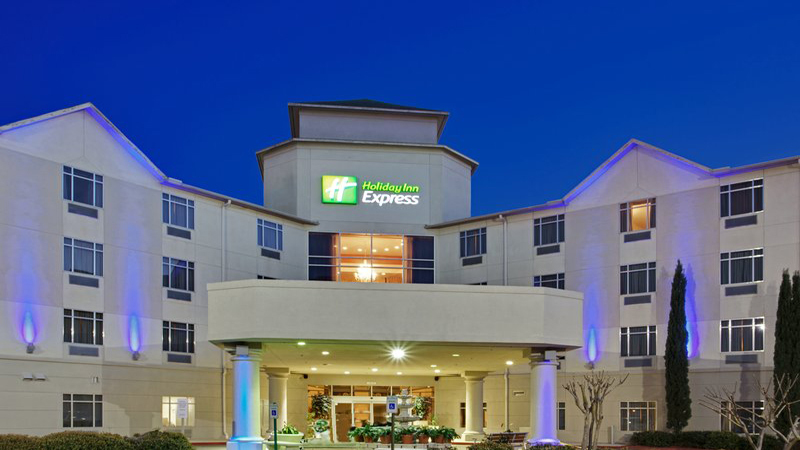 The hotel is also conveniently just steps away from the George R. Brown Convention Center, Houston Astros Minute Maid Park, the Houston Pavilions, Park Shops and within minutes of the 2nd largest theater district in the U.S. Suites at the Embassy Suites Houston - Downtown are spacious and feature a living area and private bedroom. Each suite has a sofa bed, dining/work table, microwave, mini refrigerator, two flat-screen televisions, alarm/clock radio with MP3 Connection, two phones with data ports and wireless high-speed internet access. As with all of the suites, a full cooked-to-order breakfast and evening Manager's Reception is included. 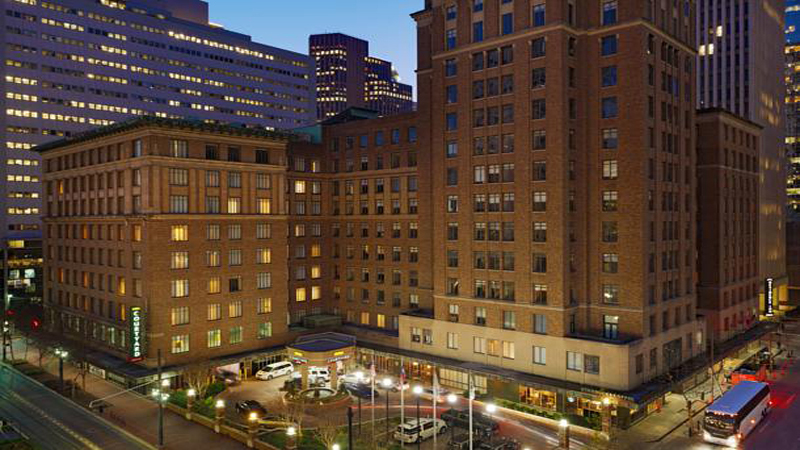 The Four Seasons is located in the heart of downtown's financial and business districts and just steps from many internationally renowned cultural destinations. 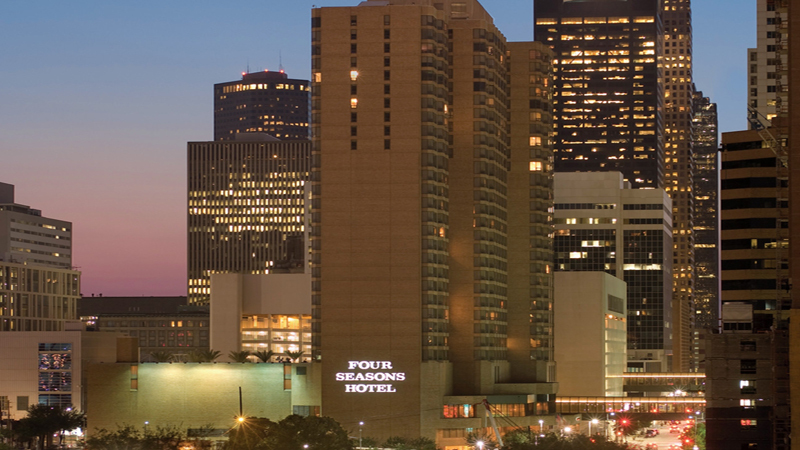 The Four Seasons resonates with the cosmopolitan elegance and refined Southern charm that characterise Houston. The hotel offers a health club, an outdoor pool, a spa tub, a fitness facility and a full-service spa. Business amenities include a business center, wireless Internet access (surcharge), and meeting rooms for small groups. There is a restaurant and a bar/lounge. 24-hour room service is available. The guestroom amenities include DVD players, speakerphones, minibars, clock radios, and air conditioning. In addition, amenities available on request include refrigerators and hypo-allergenic bedding. Guestrooms have flat-panel televisions with premium TV channel(s) and pay movies. Business-friendly amenities include high-speed (wired) Internet access (surcharge), wireless Internet access (surcharge), and desks. Bathrooms feature shower/tub combinations, bathroom phones, and bathrobes. Guestroom services include a turndown service and housekeeping. Rollaway beds are available on request. 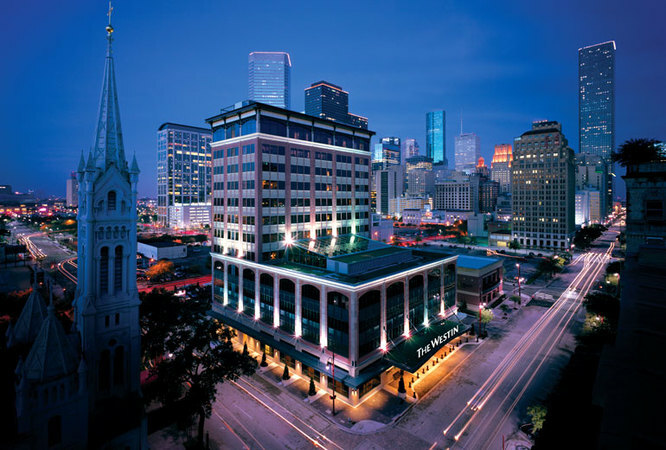 Housed in the original 1918 Humble Oil Building in downtown Houston, Texas, the Courtyard by Marriott Houston Downtown offers a premier location and old world elegance. The hotel is located less than one mile from the George R. Brown Convention Center and is close to world class shopping at the Galleria Mall. 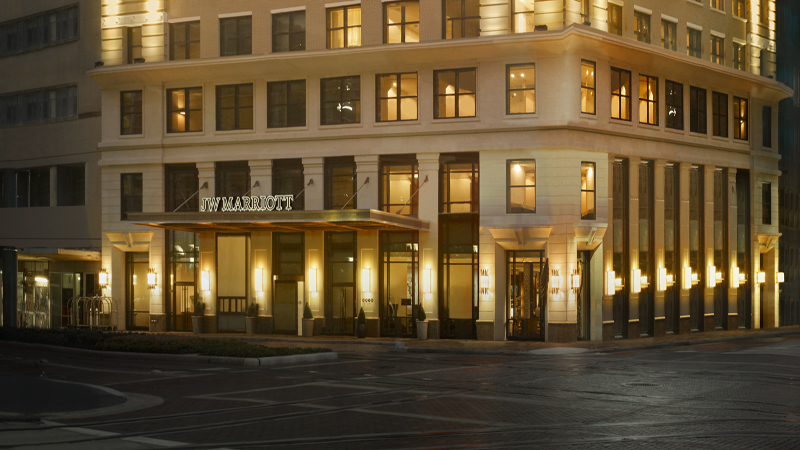 From the polished rose marble floors to the original brass elevator doors, the Courtyard by Marriott Houston Downtown envelops guests with splendor. The lobby is home to the Humble Café, an all-day restaurant serving American favorites and to the Lobby Bar. The elegant guestrooms of the hotel span nine floors and feature 12-foot ceilings, coffeemakers and cable television with premium channels. Select guestrooms offer jetted tubs, refrigerators and sofa sleepers. Large well-lit desks, multi-lined telephones with speaker capabilities, and complimentary wireless Internet access are also provided. Other amenities offered by the hotel are a fitness center, pool, and room service. 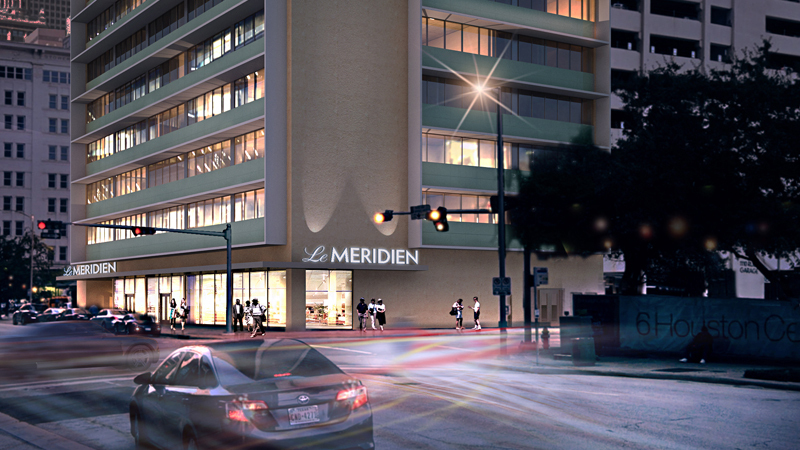 This business-friendly spa property is located in the heart of Houston, close to Discovery Green and George R. Brown Convention Center. 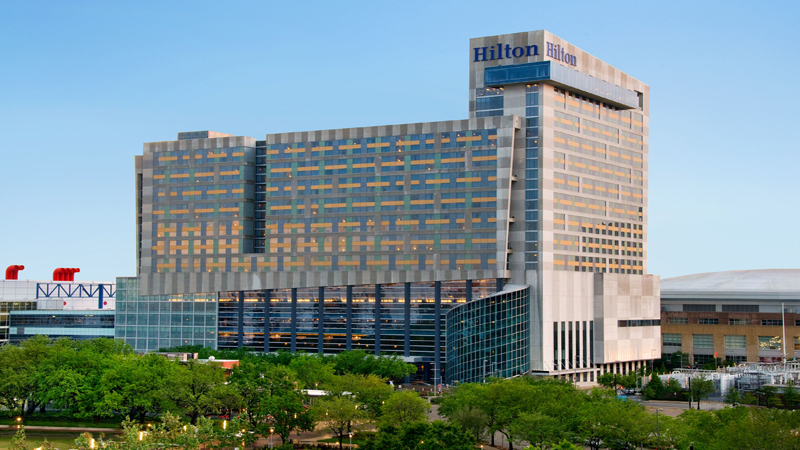 The Hilton Americas - Houston has a health club, an indoor pool, a steam room, a sauna, and a fitness facility. The onsite spa offers massage and treatment rooms, facial treatments, body treatments, and beauty services. Business amenities include a business center, complimentary wireless Internet access, meeting rooms for small groups, and business services. The hotel has a restaurant, a bar/lounge, and a coffee shop/cafe. 24-hour room service is available. Guestroom amenities featured in guestrooms include iPod docking stations, MP3 docking stations, minibars, clock radios and air conditioning. In addition, amenities available on request include refrigerators, microwaves, and a turndown service. Guestrooms have televisions with premium TV channel(s), HBO, and pay movies. Business-friendly amenities include multi-line phones, high-speed (wired) Internet access (surcharge), and wireless Internet access (surcharge). All guestrooms provide coffee/tea makers. Bathrooms feature shower/tub combinations, scales, and hair dryers. Guestroom services include in-room massage, housekeeping, and wake-up calls. 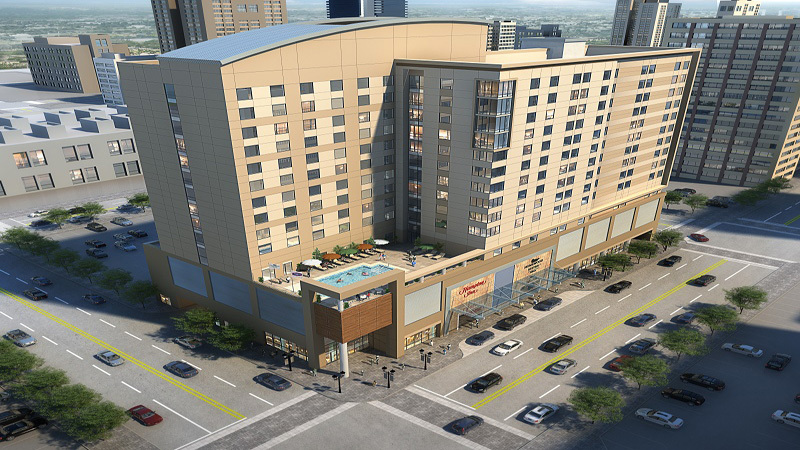 Be among the first to experience the brand new SpringHill Suites Houston Downtown hotel. This all-suite hotel is just steps from the George R. Brown Convention Center and seamlessly blends design and functionality offering the modern amenities you need to stay refreshed and focused - all at an affordable price. Spacious suites and vibrant lobbies offer flexible spaces perfect for working, meeting or relaxing. Take the stress out of travel with free WiFi, social lobby lounge and 24-hr fitness center. The Market is open 24/7 for snacks and necessities. Enjoy complimentary new breakfast with fresh choices for a customized start to your day - like eggs with local salsa or Greek yogurt and oatmeal complete with a toppings bar for a variety of options. Quite simply, from business trips to leisurely journeys, the SpringHill Suites Houston Downtown hotel is a breath of fresh air.